Although 2010 was a fantastic year for me on and off the trails, it was also a year of “crashes”. Luckily for me nothing really serious, but I know that my luck might not last, and just like everyone else, I’m getting older. In 2010 I managed to break my wrist, break my big toe, break two ribs, crack 2 ribs and crack my sternum.. and of course lot’s of bacon. I have big plans for 2011, and have decided to focus a bit more on trail safety, and my first step was to purchase the SixSixOne 2011 Coresaver. I know this layer of protection can’t perform miracles, but at least I have some peace of mind, and it will definitely protect me more than if I did not have it. It fits nice and snug, and am looking forward to it becoming part of my “uniform” . After I have used it on the trails a good few times, I will post a follow-up about the SixSixOne 2011 Coresaver. 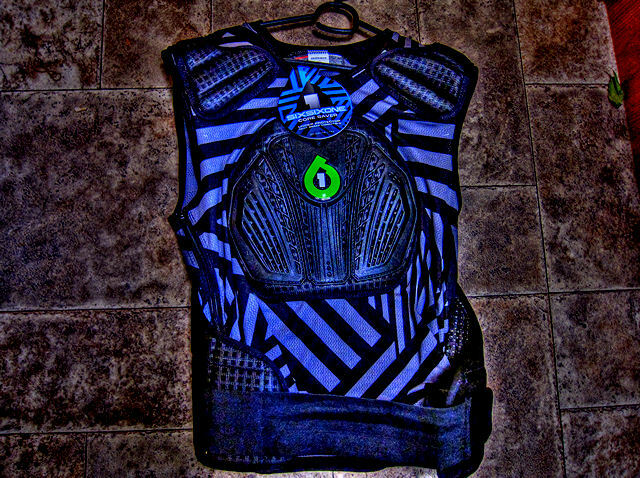 Articulating armor that is adjustable with removable back protector caps allow for the rider to use the Leatt® brace, while built in shoulder protection and hard capped chest provide a unique middle ground that is not offered by anyone else in the market. 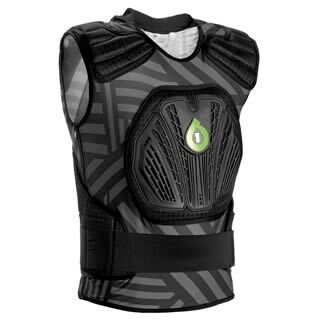 Dual density vented EVA impact shoulder pads allow a combination of protection and mobility. 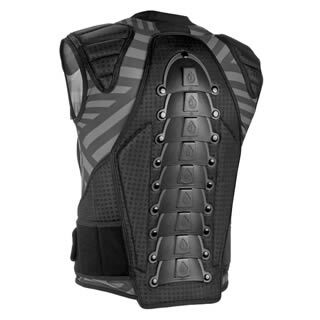 Back area has CE-certified injection molded high-impact plastic articulated armor. More lower internal organ coverage than any other suit. Comfortable and adjustable elastic Velcro® waist belt for greater support and stability. 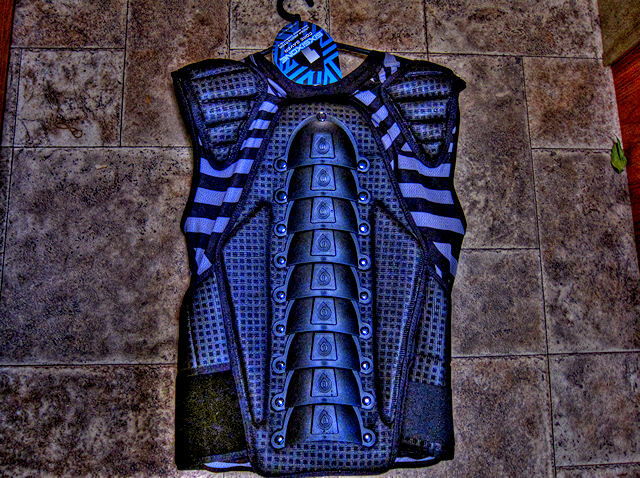 Re-designed for 2010 to be compatible with neck braces with lighter chest plate, better fit. Top three armor plates are removable for use with all neck braces. 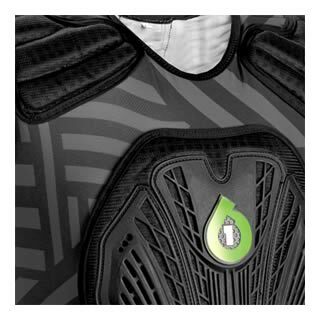 Durable yet comfortable vented mesh main body. No need to refrigerate! Cools itself through evaporation. Vented EVA foam protective under layers keeps you cool.